With their passion, drive, creativity, and ability to capture audiences we may sometimes find hard to reach, young environmental activists bring a lot to the table. And if that’s not enough to compel you to support or reach out to young environmental activists, there’s the fact that one quarter of the world’s population is between ages 10 and 24. 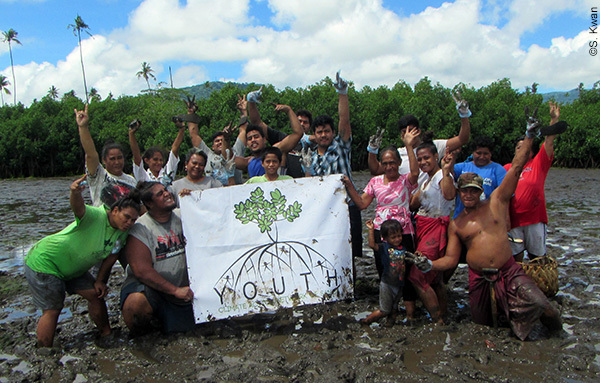 Join us as we explore youth environmental activism. In conducting interviews for Leaf Litter, I often find that the stories my subjects share with me between questions end up being the most compelling nuggets of our conversations. One anecdote from an interview I conducted in 2012 haunts me to this day. I was speaking with Bob Peart, Founding Chair of the Child & Nature Alliance of Canada, for an issue about giving children the gift of nature. 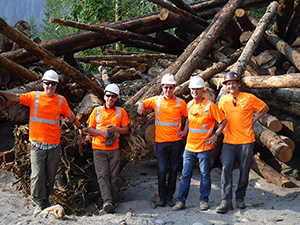 We got to talking about the loss of species, habitat, and biodiversity Bob had witnessed in his 40+ year career in conservation. He shared that a wildlife biologist friend of his had become so depressed over such losses, he had committed suicide. Bob confided that he, too, had experienced near-devastating grief over environmental losses, but that he rediscovered hope by working to reconnect children with nature (Bob also wrote about this). Mentors and Interns, Oh My! Are we listening? Are we seeking the involvement of young leaders in our work? If not, we’d better start. With their passion, drive, creativity, and ability to capture audiences we may sometimes find hard to reach, young environmental activists bring a lot to the table. And if that’s not enough to compel you to support or reach out to young environmental activists, there’s the fact that one quarter of the world’s population is between ages 10 and 24. So join us as we take look at youth environmental activism. We begin by highlighting young environmental activists in the U.S. who are taking action at distinctly different scales. Seventeen-year-old indigenous climate activist Xiuhtezcatl Martinez first spoke out on behalf of the environment at the age of six. 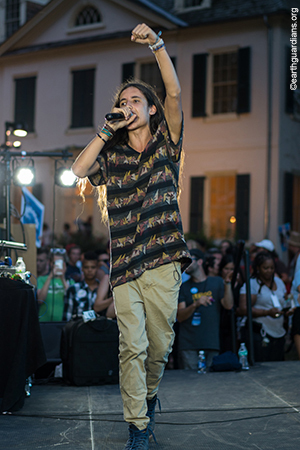 By age 12, he was addressing audiences at the Rio+20 United Nations Summit. By 15, the U.N. General Assembly. Today he continues to inspire worldwide audiences, but his voice has extended far beyond speeches. An author, hip-hop artist, and youth director of the global non-profit organization Earth Guardians, he is at the forefront of an environmental movement that is mobilizing young people around the globe. 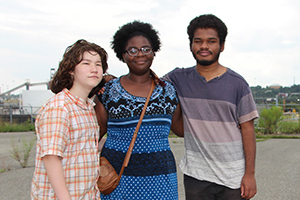 Destiny Watford, Charles Graham, Evan Maminski, and members of their youth-led organization Free Your Voice prevented the nation’s largest trash incinerator from being built less than a mile from their high school. They are continuing to fight for environmental justice in their neighborhood, and the world is taking notice. Last year, they were awarded the Goldman Environmental Prize. When nature-loving, nine-year-old Robbie Bond heard that President Trump signed an Executive Order calling for the review of 27 National Monuments designated under the Antiquities Act of 1906, he founded Kids Speak for Parks and embarked on a journey to visit all 27 sites and review them for himself. In sharing the wonder he discovers at each site through social media he aims to build an army of kids who will speak out to protect parks. 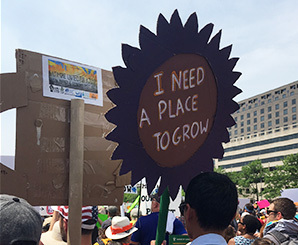 The U.S. is just one of the many nations in which young people and youth organizations are rising up, speaking out, and taking action for protection and restoration of Earth and its ecosystems. Explore our map to see just a few examples outside of mainland USA. 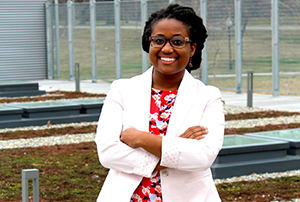 Inner-city Detroit native and 2014 winner of the Brower Youth Award for her work engaging youth in solutions-based, citizen-science projects, Tiffany Carey shares the story of her path to science and activism. Offering an internship or serving as mentor is a great way to involve young environmentalists in your work while helping them build skills for future action. In her article Mentors & Interns, Oh My! conservation ecologist Jessica Hardesty Norris, who ran internships for World Wildlife Fund and Audubon in a former life, recounts her most instructive mentor experience and offers advice for those who feel inspired to reach out to young people. Looking for a good read on the topic of youth environmental activism? Check out our book reviews. I review Xiuhtezcatl Martinez’ We Rise: The Earth Guardians Guide to Building a Movement That Restores the Planet. 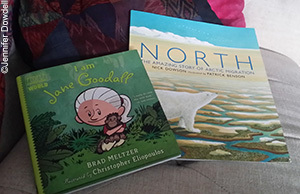 Ecological planner/designer Jennifer Dowdell reviews two books that may inspire young children to act on behalf of the environment: I am Jane Goodall by Brad Meltzer and North: The Amazing Story of Arctic Migration By Nick Dowson. 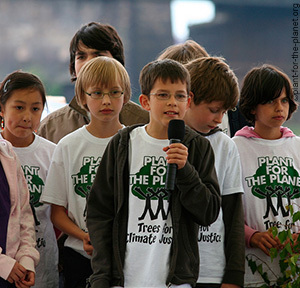 To learn more about youth environmental activism, explore our list of resources. We’ll also share the latest news from Biohabitats. Meet the newest member of our team, celebrate some award-winning projects, and find out where our team members are headed in the coming weeks. I hope that you find inspiration and hope in the voices and stories of the young people featured in this issue. As always, I value your feedback. Let us know what you think!